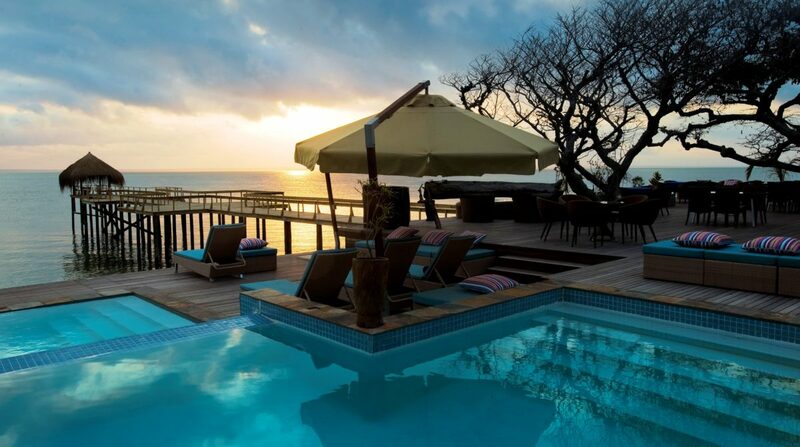 Visit this delightful tourist town, harbour and airport on the shoreline of Mozambique. Find Vilankulo lying in the Vilanculos District of Inhambane Province. The town, Vilankulo, is named after local tribal chief GamalaVilankuloMukoke. The district and airport are called Vilanculos. Discover this magnificent gateway to the Bazaruto Archipelago. Honeymoon packages, family holidays and diving specials to these spectacular islands all start in Vilankulo. Meanwhile, in the Vilanculos region, life has not changed for centuries. See the fishermen still fishing with nets at the edge of the sea and farmers still growing cashew nuts near their rural thatched villages. See the local people delivering their own home-grown vegetables and fruits and fish to the lodges within the Vilanculos National Park. Jump on a traditional dhow that travels between Vilanculosand theBazaruto Archipelago for an island hopping adventure. Explore the breath-taking 25 000-hectare ocean and land Vilanculos Coastal Wildlife Sanctuary. Part of an eco-tourism project that promises low-density developments, this reserve protects all living things and ensures local people benefit from economic improvements. Experience the ideal base for diving holidays and fishing packages into the surrounding Bazaruto Archipelago. Seek some of the 400 species of fish, including seahorses, nesting turtles, giant manta rays, dolphins, dugongs and whales in the pristine coral reefs here. Plentiful birds flit around the varying habitats – salt marshes, wetlands, woodlands, freshwater lakes and river estuaries. Find the right accommodation for your needs in Vilankulo whether it is camping, backpacking, bed and breakfast, self-catering, beach lodges, family resorts or luxurious hotels.